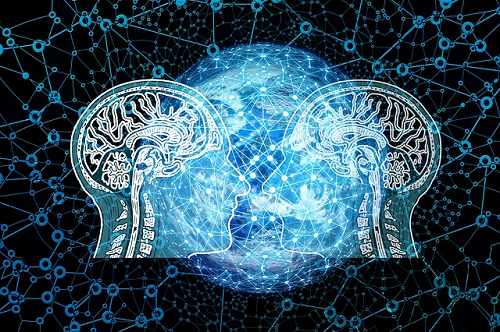 In this week's No Jitter Roll, we look at announcements around artificial intelligence (AI) for CRM and meetings, network monitoring, and a managed services acquisition. With Salesforce's Dreamforce conference taking place next week, it comes as no surprise that we're hearing lots of news this week related to leveraging AI around CRM. The first news item of this ilk comes from Salesforce itself, which announced its new platform service offering called Einstein Voice. Einstein Voice Bots, which lets Salesforce admins build their own customer-facing and Salesforce-connected voice bots -- "with clicks, not code," Salesforce said. Customers can deploy these bots on Google Assistant and Amazon Alexa, and additionally, customize them with corporate branding. "We're in the midst of an incredible technological shift, where the power of voice is fundamentally changing the way we work," said Parker Harris, co-founder and CTO at Salesforce, in a prepared statement. Einstein Voice is aimed at ushering in "a new era of conversational CRM, delivering new levels of productivity and redefining customer experiences with voice technology," he added. In other Salesforce-related news, voice cloud services provider Natterbox announced it will be the first telephony provider available through Salesforce Community Cloud. Customers will be able to enable and set access controls for the Natterbox computer-telephony-integration (CTI) application from within Community Cloud. Joint customers will be able to capture and track all telemarketing activity directly in Salesforce alongside other CRM data. "Having a better understanding of the activity behind outputs is something our customers have been calling out for, for a while," said Natterbox CTO Neil Burgess, in a prepared statement. "With the Natterbox-Salesforce integration, he added, customers will gain greater visibility into how their community uses voice to follow up on leads, which leads to enhanced accountability and ultimately better marketing investment decisions. The Natterbox application is now available to Natterbox customers in Salesforce Communities. Testfire Labs, a developer of AI enterprise productivity tools, this week announced availability of its flagship product, Hendrix.ai, a natural-language AI assistant for business meetings. Hendrix can attend meetings, transcribe meeting summaries and action items, and archive these notes in a searchable dashboard that also showcases a personalized meeting history and other insights about the user. Hendrix.ai is available in North America via an enrollment website, with subscriptions including a free version, a 14-day trial, and paid versions starting at $39 per month. TetraVX, a UCC company specializing in the delivery of cloud-based solutions, earlier this week announced its acquisition of Co-Mergent, a provider of Microsoft Intelligence Communications Management and Monitoring services. With the acquisition, TetraVX gains Co-Mergent's AlertPro365, an enterprise monitoring and analytics platform built for cloud-based Microsoft solutions like Skype for Business Online, Teams, as well as TetraVX's sVX (which is powered by Skype for Business). AlertPro365 includes active monitoring capabilities for multi-vendor network ecosystems, and features a centralized management platform that provides alerts and reports to IT departments with issue resolution details. With AlertPro365, TetraVX is better positioned not only to assist with quality testing for Teams migrations, but also with licensing and necessary training, TetraVX said. As part of the acquisition, Co-Mergent CEO John Dusek will join the TetraVX leadership team and all other staff will be folded into TetraVX's organization.